It's time to get support. It's time to join in Love. 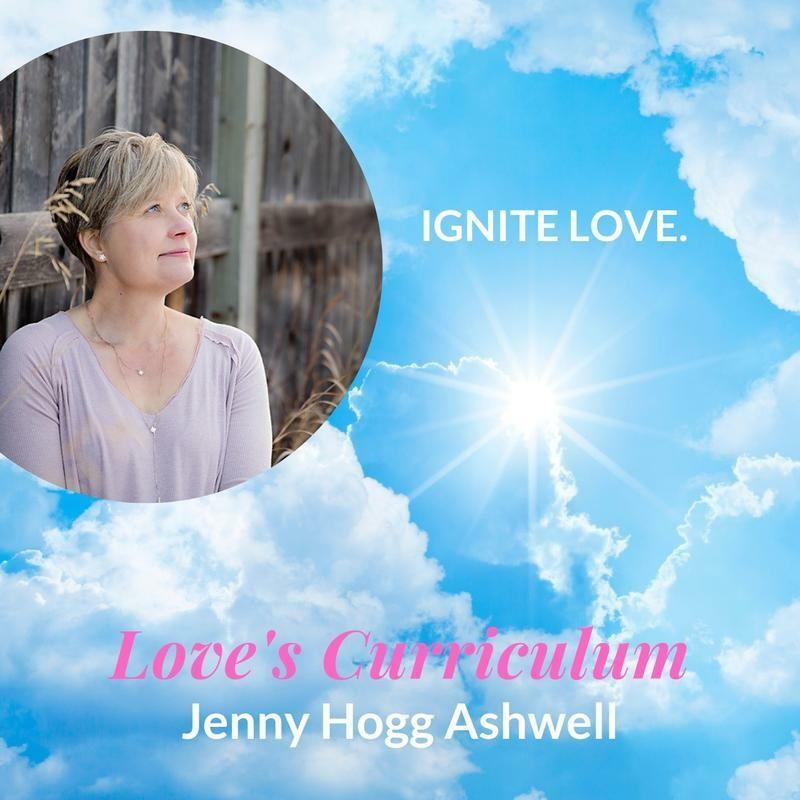 Jenny Hogg Ashwell, founder of Love's Curriculum, is a modern-day mystic and gifted spiritual teacher with a Divine assignment to bring to us the loving messages of the High Council, a group of non-physical spiritual teachers who are guiding us to remember the Divine Love that connects all and to live our soul's Divine purpose. 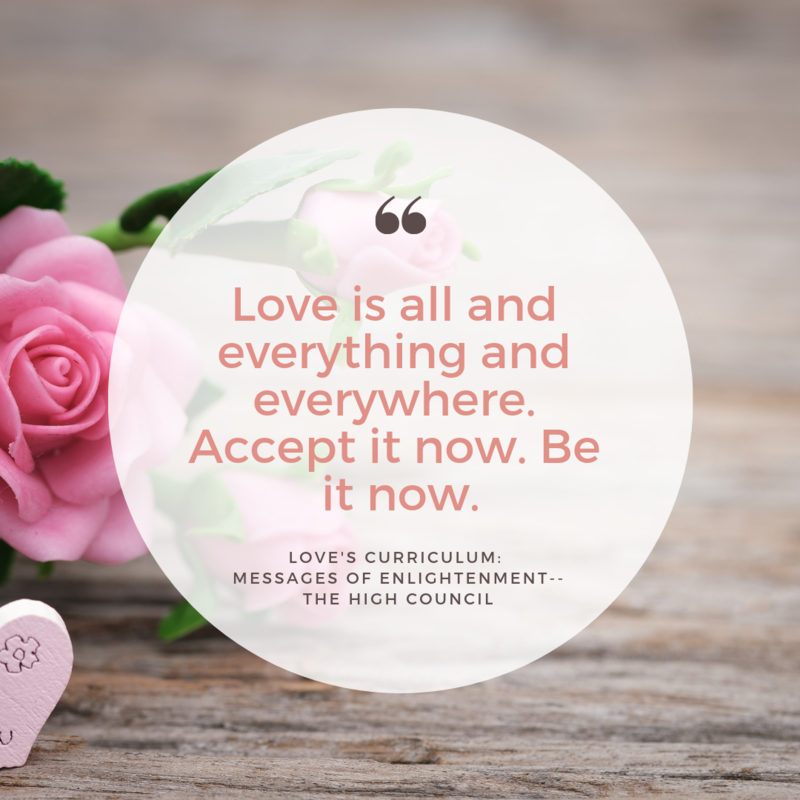 Jenny brings through the High Council's messages and loving presence to individuals and groups worldwide (similar to Esther Hicks and Abraham) to raise consciousness and ignite Love in the world. Her mission is to work with the High Council to help people remember that they are Love, Loved, and Divinely guided for their purpose, and that they are important and belong! So that together we create Heaven on earth. As a spiritual mentor and advisor, Jenny also connects leaders of heart-centered change with the guidance of their Divine Soul Teams of angels, spiritual guides, and loved ones in the spiritual realm, along with the High Council, so that they may get out there and serve their mission in a way that will have the greatest impact in shifting the world from fear to Love; in a way that is fully aligned with their highest-self, their soul purpose, and Divine assignment. 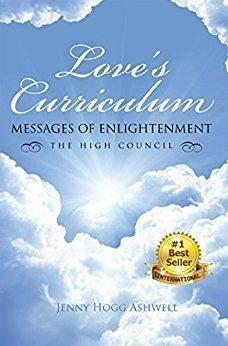 The High Council first came through Jenny with the messages in the book Love's Curriculum: Messages of Enlightenment, now a #1 International Bestseller. The messages help you align with the memory and vibration of Divine Love, raise your consciousness from fear to Love and Oneness, and remember your Divine connection, so that you may experience more grace, hope, clarity, and courage to shine your light and serve your soul-guided and heart-centered Divine purpose. Jenny also hosts here very own Love's Curriculum Radio Show & Podcast. The goal: for us to awaken and join as a Team for Love to bring Heaven to earth and create a new world paradigm in which we live in Harmony, Unity, and Oneness with each other, Mother Earth, and beyond. A magical online monthly subscription program in which Jenny brings through the teachings and presence of the High Council each week. Awaken now to the memory of Divine Love and your soul's purpose, expand your vibration to Love, raise your consciousness to Oneness, heal, and be supported by your Divine guides. Jenny put her heart and soul into this 7 module, online video course to provide you with the tools, understandings, and practices you need to consistently step forward on your Awakening path to express your highest-self and serve your soul's purpose and share your gifts. Who is the High Council? A group of non-physical Divine Helpers working for God, the Divine, the Holy Spirit, from the spiritual realm to guide us in the Awakening happening now. Jesus leads the High Council as a light brother and way-shower, joining with the archangels and other universal spiritual teachers and guides of the highest Light. And they are quick to remind us that we and they are ONE. What is Love's Curriculum Teaching Us? 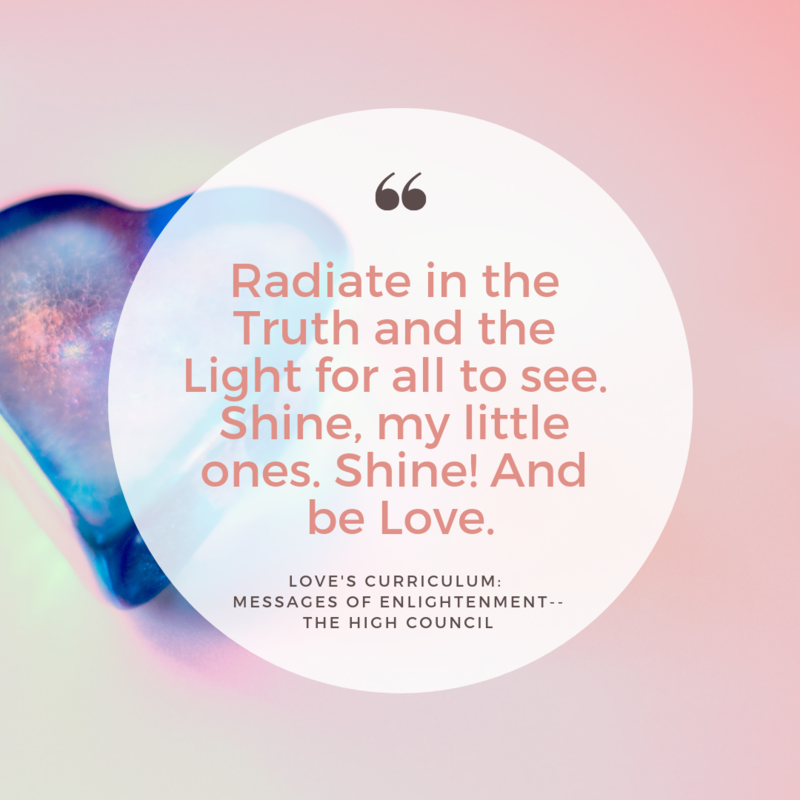 Aligning with principles in A Course in Miracles, Love's Curriculum contains messages from the High Council to awaken Love and higher consciousness in the world. The basic tenants of Love's Curriculum are: You Are LOVE, LOVED, and DIVINELY GUIDED for your soul's Divine purpose. You are here to connect with others to create Heaven on earth. Does this relate to a specific religion? The short answer is No. At its core the messages are all about reminding us of the Divine Love that connects all and a universal Oneness beyond any specific language, form, or religion. The High Council uses the terms God, Jesus, and the Holy Spirit as their main terminology for teaching, but they are clear it is only one path (one language) and that they are connected with universal principles beyond any one term or religion, and they are connected in the spiritual realm with masters from many faiths. As such, Love's Curriculum and the High Council resonate with people from all walks of life and spiritual backgrounds. It is about creating Unity not separation. 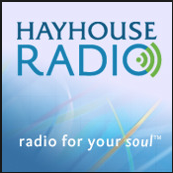 Jenny & Love's Curriculum have been featured on many Radio shows and Podcasts, including on Hay House Radio! Click below to listen to this interview, to learn more about Jenny and her mission to ignite Love in the world. Biweekly on Tuesdays, Jenny hosts the Love's Curriculum Radio Show, on www.BBSradio.com-Station 1 . "This is a great podcast to listen to when I'm in need of a 'feel good' boost. Jenny's gentle style is refreshing and calming in a world that feels like it's set to fast-forward. She shares her loving guidance in a way that enlightens and soothes." ~ Leann O.
Jenny is on You Tube with many guided meditations from the High Council and instructional videos about the spiritual journey and living your soul's purpose. Learn the 4 intuitive types and which you are, how to phrase your questions to God, Jesus, the angels and Divine guides, and how to distinguish intuitive Divine Guidance from your own thoughts and ego. "Each word a revelation of Divine Love that wants nothing more than to be born into this world of form that we may all awaken to the truth that is at the very heart of us all: We are but Love!" "So good you want to read it many times! Spiritually moving and very inspiring. Must read!" "A must read for anyone looking to open their heart and embrace their intuition. This book carries with it the energy of transformation and unconditional love."